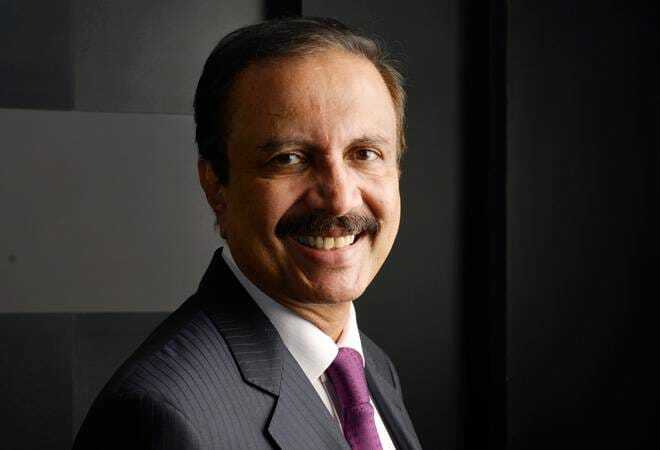 Dr. Azad Moopen (64), chairman and managing director of near Rs.6000 crore Aster DM Healthcare operates a chain of 18 multispecialty hospitals, 96 clinics and 202 pharmacies across India and the Middle East. Dr. Azad Moopen (64), chairman and managing director of near Rs.6000 crore Aster DM Healthcare operates a chain of 18 multispecialty hospitals, 96 clinics and 202 pharmacies across India and the Middle East. One of the richest Indians in the Gulf region with an estimated over $ one billion networth, he has already pledged 20 percent of his wealth for charity.. In an interview with PB Jayakumar, Dr. Azad Moopen elaborates his past, present and future plans. There are many examples of rags to riches Indians, especially Keralites, who made big fortune in the Gulf. But you were a gold medalist in studies and was an established teacher at Calicut Medical College. What was the reason for migrating to Dubai? I relocated to Dubai in 1987 as the region was fast developing as an oil rich economy. There were huge opportunities in the region. First my intentions were to work there for some years, come back and settle in India. I started off with one clinic in Dubai, but demand was there and that helped me expand one by one. Now we have nine hospitals, 96 clinics and 202 pharmacies in the region. Many domestic healthcare chains which fast expanded in the past decade are now struggling. Tier-2 and Tier-3 big investments are bleeding many chains. In that scenario, is it a right strategy for overseas chains like Aster DM Healthcare to expand fast and big in India, especially in small cities? First, it is a misconception that Aster DM Healthcare is an overseas healthcare chain and we are now trying to expand big in India. Our registered office is in Kochi and all our overseas operations are under a Mauritus registered subsidiary Affinity Holdings. The Indian healthcare market is very familiar to us and now we have an installed bed capacity of 3,983 across 11 multispecialty hospitals in South and West India. Our MIMS Hospital at Kottakkal in Kerala, started in 2001, was the first multi-specialty teritiary hospital in Kerala and the first to get NABL quality accreditation in India. Though Dubai headquartred, we have been here for the past 15 years and was slowly expanding in the country. Since 2013, we created the Medcity in Kochi, expanded to cities like Vijayawada, Kolhapur, Bangalore and Hyderabad. The Kochi Medcity got break-even with two and half years and Bangalore became EBITDA positive within one and a half years. We are adding another 1,372 beds in four new hospitals at Bengaluru, Thiruvananthapuram, Kannur and Kozhikode. While the Bangalore facility will be ready by 2018-19, the Calicut and Thiruvananthapuram hospitals will be ready by 2021. We are cautious on the growth plans and will restrict to only Tier-1 and Tier-2 cities in South and West India. Small town hospitals are facing issues like inability to attract good doctors. Lack of adequate quality manpower is an issue for all chains. How do you solve this issue? It is an issue across the industry and we have nearly 25,000 staff including about 2300 doctors and 6000 nurses. In a place like Kochi or any metro city, it is not difficult to get and retain good doctors, but the situation is not the same in other small cities. A trust hospital under my chairmanship, DM Wayanad Institute of Medical Sciences (DM WIMS) runs a medical college, two nursing colleges and a pharmacy college and every year we bring out about 600-700 paramedics. You pledged one-fifth of your wealth for charity and what are the investments so far? I have a wife and three daughters. After giving a thought on family and society, decided to spend one-fifth of my earnings for the welfare of society. Most of our charity are done through two foundations and WIMS, and there we have spent huge money in education, social upliftment and healthcare. Our activities are spread across from Somalia in Africa to refugees in Syria to social and healthcare activities in my village, Kalpakancheri in Malappuram district of Kerala.